From its Head Office in the Midlands, the company designs, develops, manufactures and distributes an ever expanding product range throughout the UK. There are currently more than 6000 stock lines which fall within the company’s two main product areas – wiring accessories and lighting. Click Wiring Accessories remain the number one choice with electricians and contractors who value the flexibility of the modular based range as well as the one-stop solution that the comprehensive offer allows. The company is committed to developing reliable, high quality and competitively-priced products which allow installation projects to be completed quickly and easily. 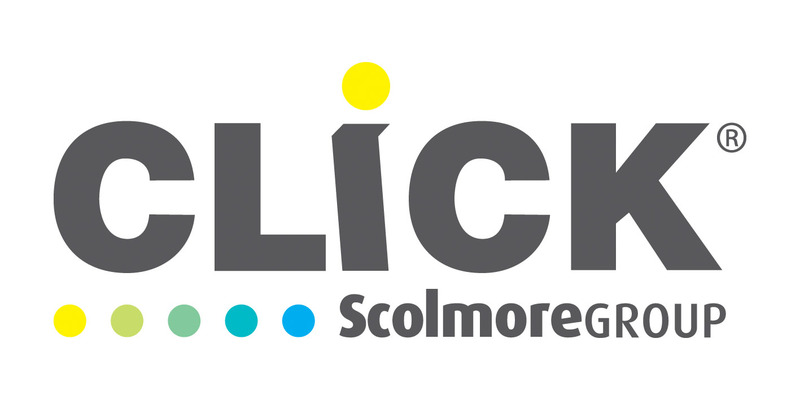 Scolmore first started supplying Lighting products in 1997 and over recent years has been building a reputation as one of the industry’s leading manufacturers. Under the brand name OVIA, the company today offers one of the most comprehensive ranges of lighting products available from under one roof. These include the Inceptor range of integrated LED fittings; award-winning Flameguard downlighters; Fumagalli outdoor lighting solutions and Click Lighting. Scolmore remains committed to harnessing the very latest technologies and bringing them to market as easy-to-use, cost-effective lighting solutions. Scolmore has upgraded its 13A 2-Gang USB socket which now features 2 USB charging ports which are both capable of delivering 5V 2.1A simultaneously. The new 20A 3 and 4 Pole Fast Fit Flow Connectors feature push-in, low maintenance terminals to offer a time-saving benefit for the installer, with no screws required. Scolmore has added a brand new ‘product finder’ tool to its website, making it easier than ever for electricians, wholesalers and end users to search and locate products from across all categories, with just a few clicks. Building regulations are becoming more and more stringent, with alternative building materials and products being developed with improved safety in mind. Scolmore has added a range of converter plates for its Inceptor Omni fire-rated downlight. In the light of the Grenfell tragedy, the need for stringent fire safety measures continues to be a focus, and building owners, councils and landlords all have a duty to ensure the properties they are responsible for meet the very latest safety standards. Scolmore is pleased to announce the appointment of Martyn Walley to the newly created position of Group Technical Manager. As Scolmore continues to develop and expand its collection of Inceptor integrated LED downlights, the company has produced a new brochure which brings the entire collection together. The problems of flickering and poor dimming range are well-documented issues for installers when it comes to LED dimmers. Leading wiring accessories, lighting and security products manufacturer, Scolmore Group, continues to expand and develop the business and is pleased to announce the acquisition of Sangamo, the specialist supplier of time switches and heating controls. Coming up with the products and components that provide installers with quick and easy solutions to problems encountered on site, is part of Scolmore’s ongoing product development programme. Scolmore has added another ‘everything you need in one box’ solution to its Click Smart range of intelligent wiring accessories with the launch of a new Click Smart Dimmer, which is designed to overcome the problems associated with flickering lights. A new emergency key switch module is now offered as part of Scolmore’s comprehensive GridPro collection, offering contractors the opportunity to source the product from the same range to comply with the BS5266-1 emergency lighting code of practice. Scolmore Group is delighted to have received recognition for its collaborative work with Leicester College. Scolmore continues to develop its Inceptor range of integrated lighting products and its latest version, Inceptor Omni, brings to market a new and improved fire-rated downlight that combines existing technology with a number of cutting edge features – all at a highly competitive price. Following a second major investment in its wiring accessories division this year, Scolmore Group announces the launch of its brand new Gridpro® collection - an extensive range of interchangeable mounting plates and modules, available in the most comprehensive choice of finishes, to offer the ultimate in flexible, modular grid solutions. 29-11-2016 - Tim Shaw's verdict on the Click socket range. Scolmore’s innovative mobile App has won in the Electrical App of the Year category in this year’s Electrical Industry Awards. With the government’s climate change obligations keeping energy efficiency high on the agenda for businesses, Scolmore’s new Hotel Key Card Switch will help reduce energy consumption in hotels and save money in the process. Scolmore Group’s Sales Manager (Middle East), Tim Piggott, has been presented with an award. 07-06-2016 - Can you afford to ignore training opportunities? Scolmore’s USB socket offers a faster, more powerful charging solution for the portable electronic devices that we have all come to rely on. 25-04-2016 - Safe signage – are you up to date? Paul Dawson, managing director, ESP Ltd, seeks to clarify some of the questions BS EN ISO 7010 raises. Scolmore’s innovative new Locating Plug Sockets and Wide Rocker Switches are now available in visually contrasting versions to meet with Part M regulations. Scolmore Group has produced a new brochure for its growing IEC Lock range which brings all product information together in one concise, informative, A4 colour format. Scolmore Group will be attending Light+Building in Frankfurt for the first time in 2016, where it will demonstrate the breadth of its lighting products range from across the business divisions. Leading wiring accessories and lighting manufacturer, Scolmore, carried off two awards at the prestigious Electrical Industry Awards ceremony. Butley Hall, in Prestbury, a Grade II listed manor house featured in the Domesday Book, is being sympathetically renovated and transformed into seven luxury apartments and three elegant new townhouses, with many of the building's original features retained and Scolmore Group’s wiring accessories have been specified and installed throughout. Scolmore Group announces the launch of an innovative new socket that is targeted at the growing assisted living sector. The latest addition to Scolmore’s New Media collection promises a faster, more powerful charging option for the portable electronic devices – tablets, smart phones (including iPhone6), cameras and E-readers – which we have come to rely on. The ‘Ezylink’ Dry Lining Box connector can overcome basic installation problems on site. Scolmore help out a DIY SOS. Scolmore Group’s wiring accessories have been specified for the newly renovated Business Class Bedrooms of the Radisson Blu Hotel Manchester Airport. Developing new products that make electrical installation projects quicker and easier to carry out is something Click Scolmore prides itself on and the latest addition of a brand new range of junction boxes is no exception. Scolmore continues to develop its Wireless Control Systems and has just added two new products that will enhance its capability. Scolmore Group continues to develop the lighting side of its business and the second edition of the OVIA Lighting Catalogue introduces a raft of new additions to its comprehensive product line up. The UK’s first Code Level 4 Self Build Show Home has been fitted with lighting and wiring accessory products from the Scolmore Group. The quintessentially British, seaside town of Southend-on-Sea welcomed the opening of its first luxury boutique hotel in December, Seven Hotel. When it came to refurbishing and developing the £34m World of Wedgwood Attraction, products from across Scolmore Group’s wiring accessories range were specified for installation. Scolmore Group’s decision to invest in its debut visit to this year’s Light+Building trade fair in Frankfurt has paid dividends, with numerous quality enquiries to be followed up. Marie Parry, Group Marketing Manager for Scolmore takes a look at the current state of the wiring accessories sector, the latest developments driving sales and what the future holds. Scolmore is delighted to have been able to lend its support to a very worthwhile cause, when products from its Click Flow range were installed at the brand new Kent Multiple Sclerosis Centre in Canterbury. An array of Scolmore Group’s wiring accessories and lighting products are being installed ready for the new intake of university undergraduates at a Swansea university. Scolmore Group’s Inceptor Micro Integrated LED Downlights have been installed as part of a much-needed renovation project undertaken at a beautiful listed building in Exeter, which is home to the South West Multiple Sclerosis Centre. Completed last year, the redeveloped world-famous Pavilion at Lancashire Country Cricket Club has been fitted with Scolmore Group’s sophisticated Inceptor integrated LED Downlights. More than 850 of Scolmore Group’s Inceptor LED Downlights are providing a low energy lighting solution in a new £3.5m Apart-Hotel in Piccadilly, Manchester.